The medical mistreatment and ignorance about how bad ME is seems to be a world-wide problem. 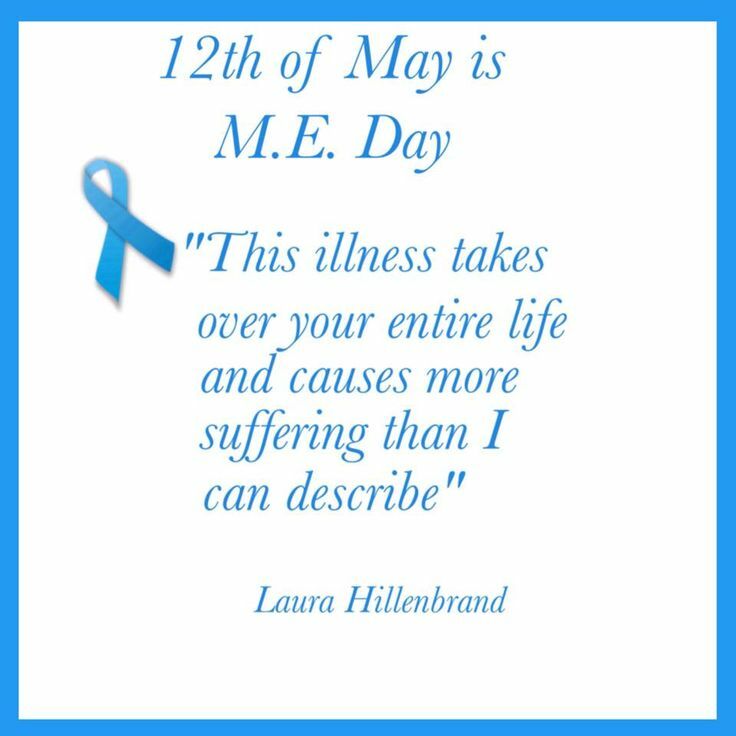 Between 24,000 – 60,000 Australians have severe ME. This is the first in a series telling the stories of Australians with severe ME. Given the wrong medical treatment and intervention harmed this patient’s health to the point of no return. Disbelief by medical professionals and community care workers made life even more difficult. This patient fears further mistreatment so asked to maintain anonymity. Above is a picture of Basil, an affectionate miniature fox terrier and company during difficult times. Even after so many decades of illness, this patient still holds hope in medical research and participates in studies at Griffith University’s National Centre for Neuroimmunology and Emerging Diseases, one of the few places studying severe ME. This patient shares their story with us. What was your life like before you became ill? I wanted to do something for today but am very lacking in physical and mental energy. So I am just posting a selection of comments from people that I came across on Twitter. I think these well describe the situation we are in. This article has been re-blogged from the Blog http://www.uttingwolffspouts.com which is written by Claudia Gillberg and Geoffrey Jones. I had to reblog this as it concerns a very important subject that has often been misunderstood concerning the impact of exercise on people with ME or CFS. The dreadful article on the front page of a major newspaper this week prompted a justifiable outcry from many sufferers of this illness. And it was no wonder – our lives are hard enough without having to contend with this rubbish. The Telegraph article is here http://www.telegraph.co.uk/news/health/11959193/Chronic-Fatigue-Syndrome-sufferers-can-overcome-symptoms-of-ME-with-positive-thinking-and-exercise.html (if anyone wants to read it). ” When I first heard The Telegraph had featured an article concerning a follow-up study of the notorious PACE trial I was inclined to ignore it1. I’ve long become used to the appalling coverage of ME by the British media2 and felt I didn’t need to read any more disinformation disseminated via the Science Media Centre. However, I cracked and had the misfortune to read an article written by Sarah Knapton that is the worst I have seen in the thirty years I have been ill with this disease, which considering the competition is an impressive achievement1. The article clearly implies ME is a non-illness, the suggestion in the headline that a bit of positivity and exercise could cure sufferers merits no other interpretation. One wonders what spin was put on the latest study by the SMC, as the results of this research bear no similarity to its reporting in the press. Indeed, flawed as the PACE trial is, at no point do the researchers suggest GET or CBT cure ME, as claimed by Ms Knapton in her inaccurate and mendacious article1. Most in the ME community are aware of the substantial problems with the PACE study, including the selection criteria, the self-reporting and lack of objective measures, a flawed methodology, which have been outlined in detail by various authors including Angela Kennedy, Professor Malcolm Hooper, Tom Kindlon, Jane Colby, the late Dr Elizabeth Dowsett and, most recently, David Tuller in the US. Unfortunately the UK media continues its obsession with treating ME as a non-illness affecting lazy people whose only problem is their inability to pull themselves together and push through their fatigue, which seems to be the only symptom the media acknowledge. ‘Chronic Fatigue Syndrome is not actually a chronic illness and sufferers can overcome symptoms by increasing exercise and thinking positively, Oxford University has found’1. ‘The new study found that graded exercise therapy (GET), in which sufferers gradually increase activity levels, as well as cognitive behavioural therapy (CBT), which encourages positive thinking and behaviour, had a dramatic impact’1. The PACE trial in no way justifies such an adjective, a more accurate description would be, ‘a negligible impact’ though this would not have supported the slant of Knapton’s piece. Sufferers do not believe, ME is not a religion (the proponents of the psychosocial model and their media acolytes exhibit cult-like behaviour but that’s a separate issue). ME sufferers know exercise can make their condition worse through first hand experience of the damage it can cause, something supported by scientific studies illustrating physiological damage(4,5). There is no science to substantiate anything the professor states in this sentence and I can think of no other illness in which a researcher would speak of sufferers in such a fashion, it is immoral, breaches the Hippocratic Oath and constitutes abuse of a vulnerable group of patients. After analyzing the responses, the researchers concluded that the benefits reported in the original study, which assessed participants at 1 year, were maintained for at least another 1.5 years. But the participants randomized to receive the two interventions that initially did nothing also improved, and there “was little evidence of differences in outcomes” when compared with the people in the other treatment groups’5. Sharpe et al try to explain this by claiming that participants undergoing other therapies switched to GET and CBT in the intervening period but there is no evidence to support this conclusion. I’d also like to query what condition participants are in now, as the suggestion that any improvement was maintained for ‘at least another 1.5 years’ implies their health could have declined after this period of time. Knapton’s article provides a list of ME symptoms, which exclude post-exertional malaise (PEM) arguably the defining symptom of the illness. It also includes a link to a video featuring Martine McCutcheon talking about the lightning process, telling you all you need to know about the malicious intent behind this article. ‘These are not magic cures’ says Sharpe. Apparently Sarah Knapton disagrees. ‘It’s sometimes quite hard to understand what motivates the very vocal minority that gets upset by this apparently benign bit of moderately helpful treatment’1. Perhaps some of the headlines in the British media this morning will enlighten the good professor as to why so many in the ME community are upset by his ‘treatment’. This week or weekend I am planning to settle down and read this file. Probably with a cup of tea – although given the contents a large gin & tonic might be better. To explain – this will be no pleasant read and have no doubt it will make me very angry. But there is no question at all that I am going to read it. All 158 pages of it. This is a file from the Medical Research Council (MRC) on CFS/ME. It had been filed away in the UK National Archives in 1997. And wasn’t due to be released until 2071. The contents seemingly go back as far as 20 years. She is a long-term sufferer of ME/CFS and describes herself in her twitter profile as an “angry bird”. And how well I understand that anger. It is the Number 1 reason I started this Blog. Why am I angry ? 1) Because of the poor treatment I have had from GPs since maybe the late 1980s. So far back it is hard to be sure now. Not angry at the fact that I wasn’t cured – but more the way I have been treated all these years. With contempt, bullying, disbelief (obvious but unspoken), no respect, disinterest, irritation, silence, blank looks, etc etc etc. Left to rot would basically sum it up. Take anti-depressants and get on with it. NB. I should add here that 2 of the 3 GPs I have seen over the years I’m sure are nice people & good GPs when it comes to other problems/conditions – ie. not CFS or ME related. (In fact they have been quite nice with a few other things over the years.) The contempt and bullying I mention was from the 1st one and goes back a long time now. 2) Secondly because of the way people with CFS or ME are often treated by the general public. This can include employers, work colleagues, acquaintances, relatives – and unfortunately sometimes even friends and family. We are desperate to talk about it to people important to us – not because we want sympathy or attention. But because we want them to understand how bad this condition/illness can be and how much it limits us at times. All we want is understanding and hopefully some allowances made for us – so that the friendship can continue even when we are limited. But sadly, sufferers sometimes experience boredom, impatience, no empathy or understanding at all, intolerance, disbelief and even nastiness. Plus many marriages have broken down, with partners leaving. I read somewhere it was estimated 50% of marriages break down when one partner has CFS or ME. I wasn’t shocked – only surprised it wasn’t more. The stress and strain can be terrible, intolerable even, on both people. Especially over the long term. My own marriage almost didn’t survive and came very close to breaking down in January this year. After being together since 1991. Many reasons. But I would say most caused by me having CFS such a long time. Directly and indirectly. The sheer stress of everything over so many years, without any help (for either of us) almost finished us off. We are still struggling. Maybe not so much with our marriage but with almost everything else in our life ! It has been very hard indeed the last few years. But, after a 9 month spell apart, we are now living together again. NB. How does this relate to these medical files you may be wondering ? Well although there is really no excuse for people treating us poorly – I am sure the attitude of the medical profession ( ie. the experts) has not helped things one bit. 3) The sheer injustice of it all. Being made to feel I was lazy or work-shy by the medical profession. And sometimes others. Always indirectly of course. Never stated outright – therefore denying me the opportunity to challenge it and put the record straight. I worked full-time from 1977 until 1999, then part-time 1999 – 2003. And studied hard to get professional qualifications in Insurance and in Financial Services : A.C.I.I and M.L.I.A (Dip) and FPC (Financial Planning Certificate). In the early 1980’s I worked in numerous 2nd jobs in pubs 3 or 4 nights a week – on top of my full-time job. This was to save up the deposit to buy my 1st flat (and cover all the costs, furniture, fees, etc). I was in my early 20s at the time and most of my friends were enjoying going out, socialising, etc. But I wanted to do this and just focussed on it. It wasn’t easy and I did it over a period of a few years. Until around 1986. Then to be treated as lazy, or basically “worthless” by the medical profession – how could I fail to be angry ? The lack of almost any medical help, or any type of help. No “Care Pathways” or “Management Guidance” offered to me at all. And being told that I wouldn’t get any financial help from the State as I would not qualify with CFS. My GP did not help me at all. In fact I think the only time my previous GP agreed to sign me off work (for 3 or 4 weeks) was when both my Mum and Dad were seriously ill in hospital at the same time. My Dad was in hospital for a month and had a lot of health problems. Then my Mum had a heart attack at the same time – and ended in in the same hospital (Glasgow Royal Infirmary) for 2 weeks. So I maybe shouldn’t complain too much . . . Allowed time off work for 4 weeks. This was maybe 1987. In late 2002/03 my GP then did sign me off work, and eventually diagnosed my CFS. My Mum was terminally ill at that time, and I was struggling very much even before that. But in order to get this (signed off work I mean for a few weeks ) – my husband actually had to come to the Doctors Surgery with me. To help me talk to her. a) I am not angry because I just wanted to have lots of time off work. Then give it up forever. Then live on State Benefits. And that my GP somehow stopped me dong this. But it would have helped me so much if I had been treated seriously and shown some respect by GPs. Because I am certain that if people are forced into struggling on for a long period of years (as I was) then the illness/condition becomes more ingrained. And so much more difficult to get rid of. b) With regard to state financial help – I wouldn’t have wanted, asked or chosen to live on benefits. But I fully understand that many have to do so because they have no choice, and are own their own. But to have received some financial help would have been good. I mean people get child benefit (previously totally un-means tested). And having children is a choice – having CFS or ME isn’t. 4) Now a Landlady – since 2004. This is hard too and is eating up most of my life just now. Because my CFS has got worse over the last few years. So makes it harder than it should be. I “got into Property” in 2004 as was no longer employable. It had to be something where I wasn’t answerable to anyone and could do my own hours. I took a big risk (financially) to start this up. I didn’t have any money other than some savings. Never had any inheritances, or gifts, or lottery wins. I just borrowed and kept on borrowing . . . ! Including re-mortgaging the house – with my husband’s agreement of course. It was designed to be long-term – and will be very long-term now. Keeping it all afloat throughout the last few years (since the credit crunch and recession started in 2008) must be one of the hardest things I have ever done. Unlike GPs and other medical people I have no guaranteed salary at the end of each month. Sometimes a loss. And I just have to work the hours it takes. NB. My point here is not meant to be “Oh woe is me” or “I never knew it would be this hard” . . . etc etc. It is simply that I am working very hard – but am still treated dismissively at my GP surgery. It seems that no matter what you do, or say, if you have CFS or ME noted on your files – you are deemed not worth bothering with. But : why do I want to read this file, if it is going to make me even more angry ? I have to see the contents in black and white for myself. I feel it will confirm I have not been over-sensitive all these years. In feeling I have been badly treated by people who are highly paid professionals. Who I had turned to and had relied upon to help me. And it will prove that I have not been alone. And have a very justifiable right to be angry. In my post of 6th Oct I mentioned that the poor treatment of people with CFS or ME was a scandal. And I had mentioned the ME Insults timeline on Twitter. A bit more about this now. Twitter is marvellous for connecting with people worldwide on endless topics of interest. Recently someone posted (tweeted) a message suggesting that people share any insults they had received since having ME or CFS. This then quickly expanded to include any comments which were – ignorant, hurtful, nasty, silly or just plain stupid. It was suggested that any replies included #Meinsults in them – so they would be recorded in a separate timeline in Twitter. And it just took off. Hundreds of people posted messages – maybe even over a thousand in just a day or two. What started off as a way of sharing and venting frustrations about how folk had been treated became more serious as all the posts (tweets) came thru. And were read. Seeing so many examples in black and white of how many people had been treated poorly (by GPs and/or friends, family, relatives) was incredibly shocking. None of it will be news to many people who have had CFS or ME – especially if over a long period of time. But seeing so many examples in writing somehow made it really hit home. There is something wrong with your head. Do you not get bored in the house all day ? We all get tired but we just have to push on. Maybe you should try to be a bit more positive. If you bring her back to school tomorrow then we will say no more about it. I couldn’t be bothered with that. I’m not the sort of person who would get that. I don’t really believe in all that. I don’t think he is really trying to get well. You really shouldn’t keep him indoors so much – its not good for him. We don’t do home visits for fatigue here. This is just a very brief selection. Why is this still tolerated today ? And why do people feel it is ok to speak to sufferers like that ? And would these sort of comments would be made to people with cancer or multiple sclerosis ? You Look Fine . . . Thought I would give this one a post of its own. We have all had this comment. In fact – not just us with CFS or ME, but many others who have what’s termed an invisible illness. 1) As a genuine compliment. Made from somebody who really means well or cares. And in this case it is very welcome. As it is usually obvious that the person is saying it with genuine affection and all good intentions. And it is a nice thing. 2) It is said in a doubtful manner. This can be a difficult one – as its not always very clear how it is meant. It usually doesn’t “feel” like a compliment. Or as though it was said in encouragement. You are left with the feeling that the person is questioning the validity of your condition – CFS or ME. But impossible to respond to – because of the way it is said. 3) This one is said more aggressively. And you are left in no doubt that the person either thinks there is nothing wrong with you. Or that you are exaggerating things for some reason. In my experience this has always been impossible for me to respond too also. Usually because of being taken aback by the manner of the person making the comment. But also some of the typical CFS or ME symptoms seem to kick in – like not being able to find the right words when needed. And I have always been left unable to make any sensible and non-angry response. Several hours later – I will think “Oh I wish I had said . . . . “ . But the moment has passed. Have you no hobbies to fill your day ? What – on top of being a Landlady and trying to keep a property portfolio (albeit a small one) afloat thru the credit crunch & recession ? And the daily struggle with household tasks? I‘m just grateful if I have any energy left over to eat my dinner or watch TV some days. Your lucky you don’t have children – as you would just have to get on with it. How would that work then? Have you tried just getting on with it when you don’t have enough strength left to even stir a cup of tea ? But even more seriously – the whole issue of people with CFS or ME not managing with their children can cause much guilt or heartbreak. Just read the book Shattered by Lynn Michell – there is a heart-rending section about this in it. I rely on email a lot because of my CFS – as you can take as long as you need (to think) plus stop for many breaks. You can’t do that during a phone call – the person would just hang up on you. OMG – my “issues” – what are these then ? From a friend I hadn’t seen for abbout 18 months. Did you maybe mean to say how are you and how are you getting on . . . ? No ? Oh well . You must keep exercising – no matter how bad it makes you feel. Unbelievably this was from the GP I kept going back to for years and years before I got diagnosed. She was very abrupt. In fact I’m not sure she was actually a GP – just somebody doing a very bad impersonation of one . . .
How will I know ? Understand this one if from people who don’t really know me – or anything about CFS. But from other people . . . A bit frustrating. She gets a bit tired at times. This from my husband trying to explain it to people for me – and failing dismally . . . ! A major cause of much stress and rows over the years – but that’s another story. Again – how will I know ?